Look who’s coming to Las Vegas! As a bonus for the people who are coming to High Road to Education in March here in Las Vegas, or for those who need a little push in that direction, look to the events on Saturday prior to the show. 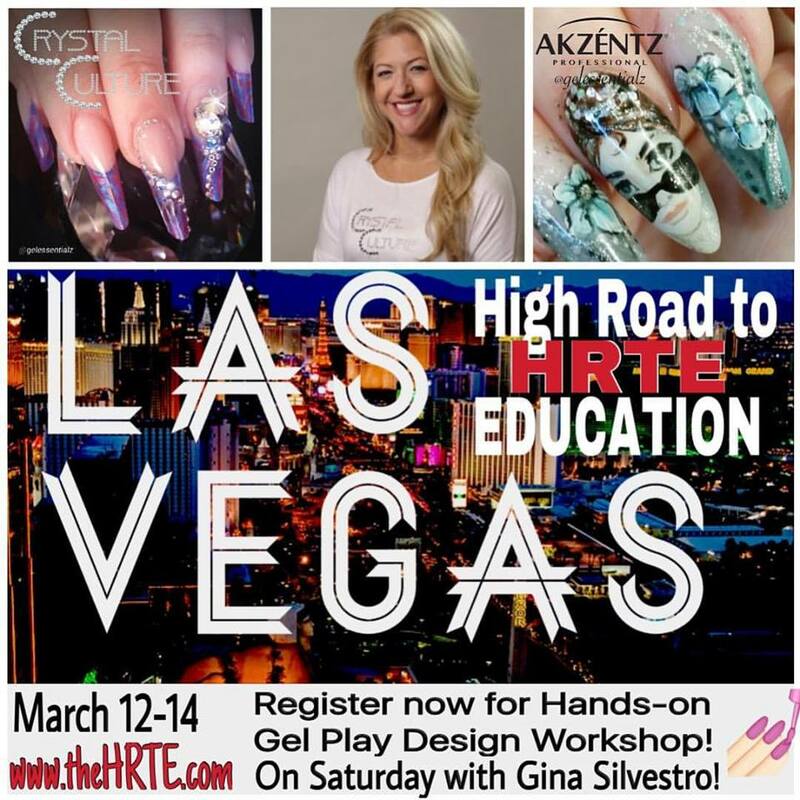 Gina Silvestro, owner of Gel Essentialz in Rhode Island, and veteran nail tech with many many magazine credits to her name, will be giving a Gel Play class. 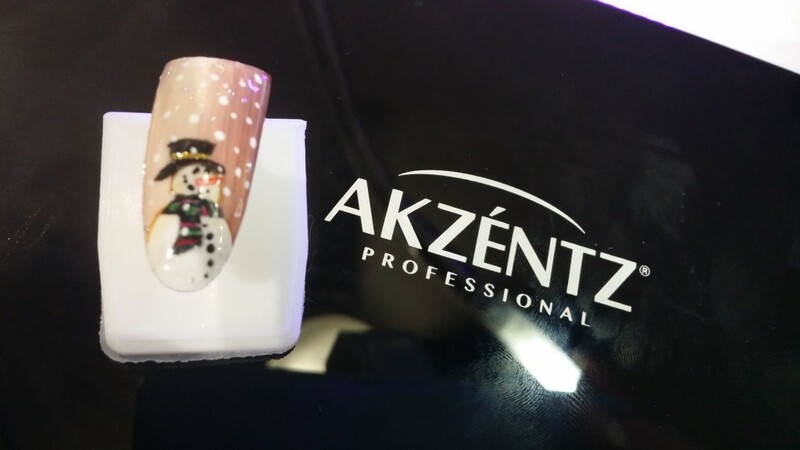 Gel Play, from Akzentz, is a highly pigmented gel color with a good viscosity so that you can create most anything you can imagine. I took her class in Rhode Island, and it opened my world to doing more art like faces or characters. Like my snow man! lol, not bad for my first attempt!!! Give yourself a reason to come to Las Vegas! Take a class from Gina and experience everything that The High Road to Education has to offer!